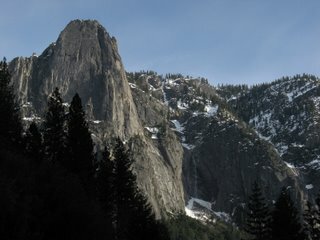 While in Yosemite, I hiked along the valley floor, something I've never done before in the park. It can get quite crowded in the summer months, and so, finding myself a mid-week visitor in the spring, I decided to hike the Yosemite Valley Trail. 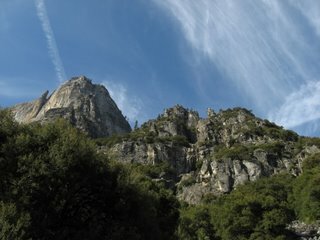 Along the way I hiked past the famous Camp 4, home to rock climbers who gather to scale the highest freestanding cliff in the world -- El Capitan. I saw deer grouse and acorn woodpeckers. On the banks of the Merced River I stopped to eat a sandwich, and as I sat out on a boulder, a cinnamon-colored black bear emerged from the tree line and approached the shore on the opposite bank. He lifted his nose, spotting me across the river. We watched each other for a time and then he backtracked a little, dove into the water and swam across the river to my side, a bit farther up the trail. 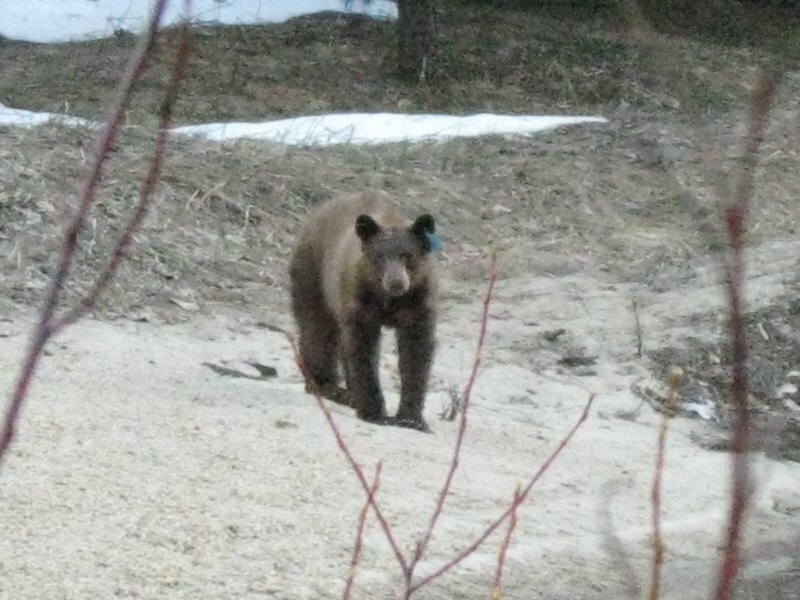 He meandered away, moving up to a boulder field. 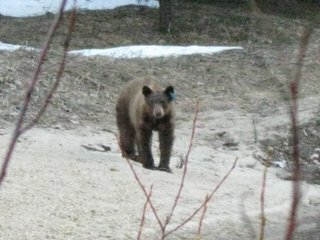 It was my first bear sighting of the year!